The Secure and Fair Enforcement for Mortgage Licensing (SAFE) Act is designed to enhancehttp://www.unileverfcu.org/?page_id=3183&preview=true consumer protection and reduce fraud by requiring a nationwide registration system for mortgage loan originators (MLOs). Each MLO obtains a unique identifier from the Nationwide Mortgage Licensing System & Registry (NMLS) .  This information allows a consumer applying for a mortgage loan to verify the MLO is properly registered and to obtain basic information about the MLO’s mortgage lending history.